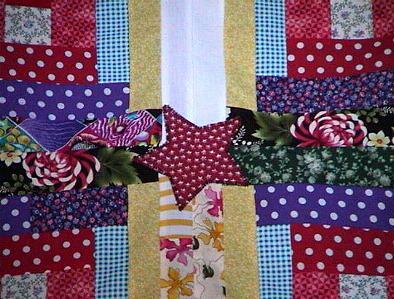 This is a beautiful new Hand Appliqued Log Cabin Floral Quilt Top that I made. 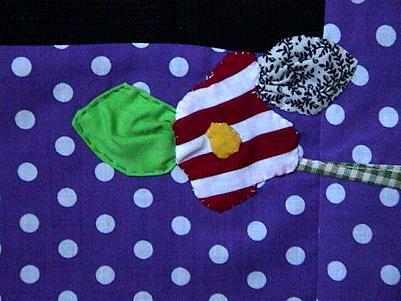 There are hand appliqued flowers on the corners of this cute quilt top. I, also, put stuffed leaves on the borders. The design is called log cabin-courthouse steps. 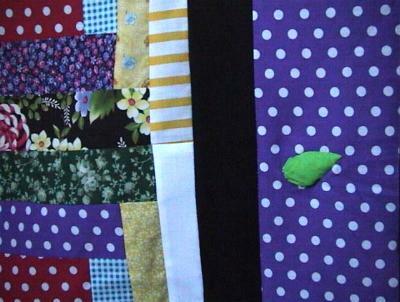 This top is so colorful and beautiful for a girl or perhaps a lap or wall quilt. 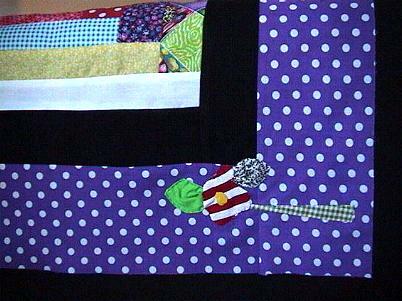 The star in the center is machine appliqued with blanket stitches. Make this a family heirloom. Use it throughout the year. The photo below shows one of the stuffed leaves. 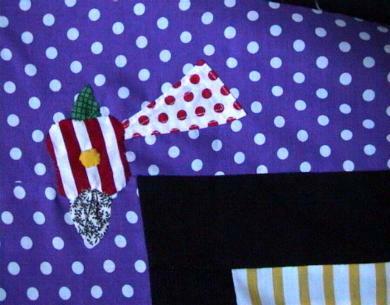 Fabrics are good quality 100% cottons and cotton/poly blends. 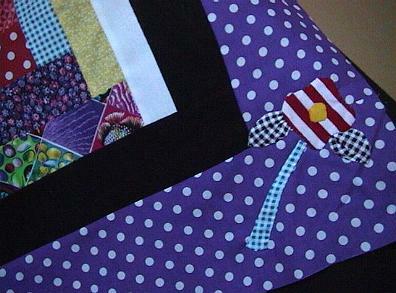 If you love applique and beauty, this is for you. 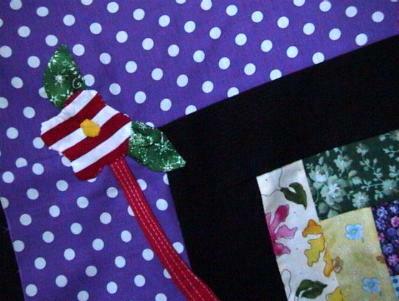 The border is polka dot purple. Below shows a close-up of the hand stitches around a leaf.